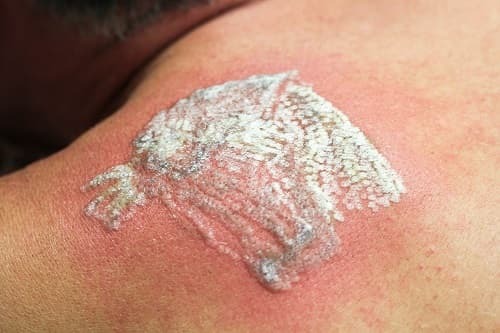 FAQ: What is the White Frosting Caused by Laser Tattoo Removal? Despite the fact that tattoos are more popular than ever before, several people regret getting these permanent pieces of art drawn on their bodies. Thankfully, the latest laser technology can now remove undesirable and unwanted tattoos with relative ease. 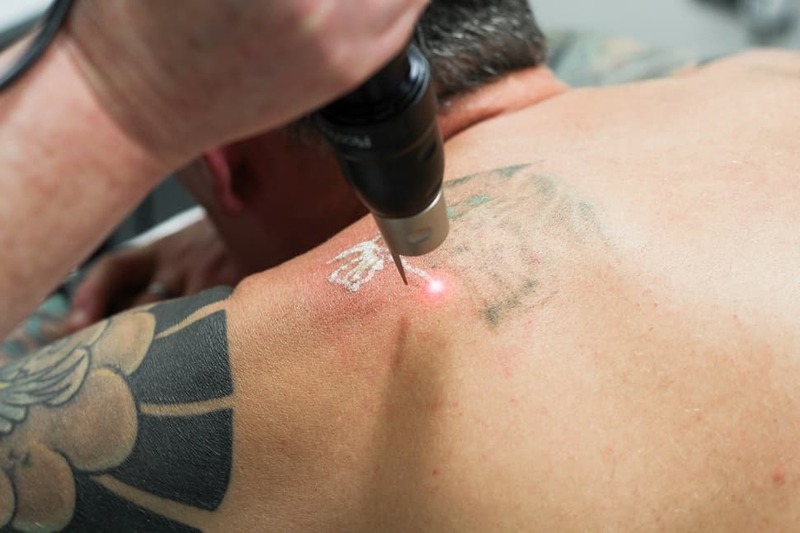 It is natural to have a few worries about the side effects of laser tattoo removal, one of which concerns the white frosting that sometimes appears as a consequence of this treatment. The rapid local heating of skin pigment, which leads to gas or plasma forming, causes the white frosting you sometimes see during and after laser treatment. Carbon dioxide is released as a result of laser penetration and surfaces on the upper layer of the skin, which resembles a white frosting. In the vast majority of cases, this only lasts for 15-30 minutes after treatment. It is a temporary side effect, which is perfectly normal. White frosting is always evident during the first treatment, but once more ink gets remove from further sessions it won’t appear as much. Is white frosting a good or bad thing? It might not look very nice, but the white frosting you see during laser tattoo removal is very much a good thing. This reaction indicates the laser is penetrating the ink effectively. On top of that, it also shows that your body is reacting and healing quickly. As soon as the laser hits your skin, it can go in various different directions. Some paths of light will reflect off the skin, while others will penetrate into the epidermis and dermis. However, we are interested in the ones that reach the ink particles, are absorbed into the skin and cause white frosting to occur. Blistering – Yet another indication that the healing process has begun, blisters are nothing to worry about and albeit tender, take between 3-14 days to disappear. Scabbing – Around 8-72 hours after treatment, scabs may appear over the affected area. Picking or peeling these can increase the risk of scarring; so let them fall off naturally. Swelling – Your body’s natural defence system might kick in and cause a bit of swelling after treatment. But this will soon go down and is not a reason for concern. 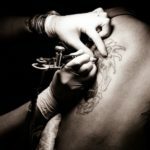 Discomfort – Most people will experience some discomfort but this usually depends on the tattoo’s location. 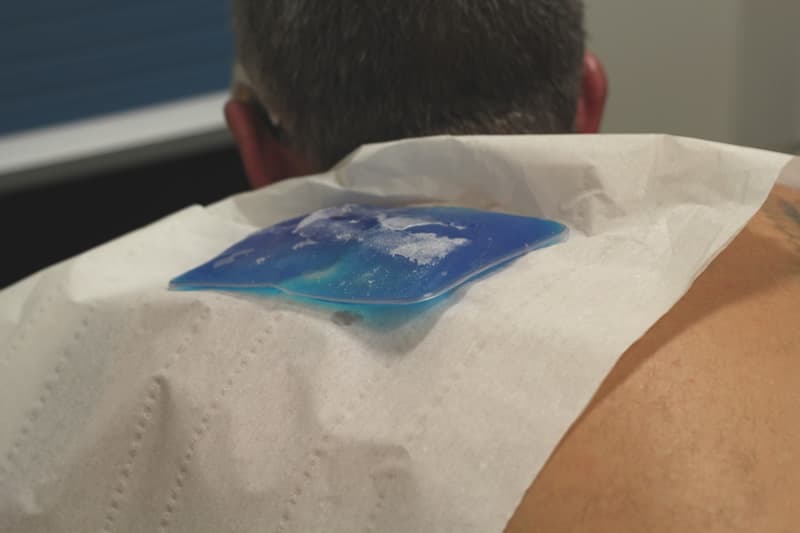 An urge to itch afterwards can happen too, but overall our clients report that the laser sensation is equal to, or less than getting a tattoo inked in the first place. 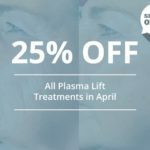 Here at the Andrea Catton Laser Clinic, we have 15 years’ experience performing laser treatments. This experience coupled with the advanced lasers that we use, reduce the extent of side effects experienced. We also have a thorough set of before and aftercare instructions which we hand out to all clients at consultations.